The transition from daycare to preschool can be difficult for small children. Preschool students are expected to have better behavior and more independence than toddlers in child care. You will want to do your best to prepare your child for preschool so the transition is smooth and stress-free for you and him or her. There are a few actions you as a parent can undergo to ensure your child is comfortable before their first day of preschool and ready to learn and participate in classes. Does your child interact with other children often? If your child isn’t currently enrolled in a daycare or child care, you will want to set up playdates with other children in your neighborhood or even students of the preschool before the first day of school. This will help your son or daughter learn about sharing and learn how to have good behavior with other children and wait his or her turn for attention. 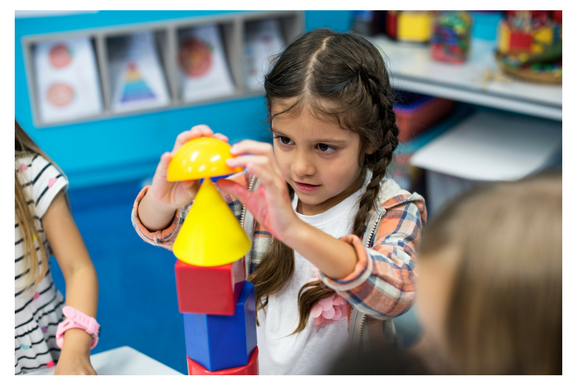 Preschools are dependent on routines and structure in order to complete their curriculum throughout the day and ensure all students have a positive experience in class. You should create a morning routine for your small child and an evening routine. This will prepare them for the mid-day routine the preschool subscribes to and he or she will have a much easier transition. Be sure your child is able to use the bathroom by himself or herself and able to fasten their pants and clothing when they’re done. Preschools often require students be able to use the bathroom by themselves and to wash their hands when they’re done. There is potential for an embarrassing situation here for your child you can avoid if you ensure he or she is 100% comfortable and able to use the bathroom by themselves. If you can afford it, we recommend going shopping for some fun preschool supplies and maybe some new clothes your child will be excited about taking and wearing to preschool. Your child will be eager to wear their new clothes or try out their fun new crayons and might be less anxious about the upcoming first day of preschool because of it. You should give your child a memento of some sort to carry with them throughout their day at preschool to help remember you by. This way if they get sad or scared during preschool they can hold it and it should help ease their fear and remember that you will be there soon to pick them up and go home. The first day and the first few weeks of preschool will have challenges for your small child. You will want to be patient and loving during this time. If you prepare your child for preschool in advance of the first day, the entire process should be easier for everyone involved. Cornerstone Academy offers child care and preschool in Kenosha, WI. We create an atmosphere for small children that encourages and fosters growth and provides education for young minds. Learn more from our newsletter.